The Seven Deadly Sins: Signs of Holy War is a four episode mini-series that aired between Augst 28th and September 18th of 2016. Each one of the episodes is a different event that occurs after the end of the first season. The first is a what you would expect from an OVA, the miniature pig – Hawk – escapes and the whole cast have a race to find him. The second episode is the epic fight between Meliodas and Ban that we were promised in the last season. Episode three is a funny and charming view of Diane and King’s “romance”. And the final episode revolves around a great deal of mystery, aimed at setting up the second season of the show. 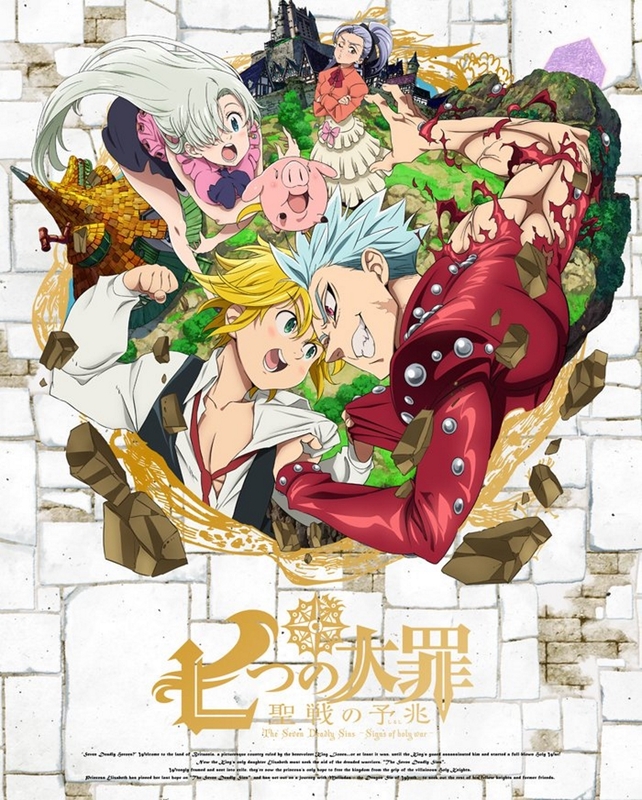 My Review: Consider when I first pick this up I was expecting the second season of Seven Deadly Sins, I was a little disheartened to find out that that, in fact, was not the case. Regardless of that fact, these episodes to offer nice little episodic bites of fun with the characters of the show, my personal favourite episodes (episode two and four) are much more like the original series. On top of that, episode four does a really great job of psyching me up for the next season. We get to see some really awesome looking demons and just what we could expect from an actual Holy War. I think this add on perfectly to the end of the first season, but it may be a little harder to jump right back into the series if you haven’t seen the first season in a while. I rate this anime 6/10.